From the perspective of Spirit, what is the essential meaning and purpose of “obedience”? How has this word, and what it refers to, been manipulated for the self-centred gain of others who wish to be in control? Why does the word “obedience” often invoke a subtle, and at times overt, rejection in people who hear it? 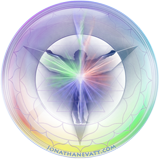 Why is that often especially the case among those actively pursuing their “spiritual path”? (to) submit to the authority of (someone) or comply with (a law): I always obey my father. • carry out (a command or instruction): the officer was convicted for refusing to obey orders | [no object] : when the order was repeated, he refused to obey. • behave in accordance with (a general principle, natural law, etc. ): the universe was complex but it obeyed certain rules. The primary emphasis is typically placed on that of submission to the authority of someone else, and or the laws they have laid down. Often there’s connotations of that authority figure having control over those who obey them. From my perspective, this is a tricky manipulation of our appreciation and understanding of spiritual obedience. One that has been cast like a spell (as in the spelling of a reality changing incantation of words) over the human psyche. It is a cunning ploy of the original rebel, designed to wedge an element of subtle resistance into the apparent gap of separation the human soul has dreamed into experience, as it fell into the deception of separation from source. In its original sense, to obey means pay attention to, and more accurately to listen to and to hear that which we are in obedience with. When I refer to obedience to the Divine Mother, it means to lend an ear to Her and listen, such that we hear the intelligent creativity She is pouring forth, through us and as us, and as her creation. It is the hearing of the Word (the Logos, the original Spirit, also referred to as the Christos), a deep primordial tune or tone, as it manifests into creation through the Divine Mother and Her creativity. In the ancient spiritual traditions of India the most primordial sound of this tone was likened to “Aum” or “om”. This is the original (originating) sound of the Divine Mother, as She is emerging from the formless into form (as vibration, or a stirring and subsequent weaving of energy, and thus sound). To lend an ear to, listen toward, and ultimately hear this sound or creative vibration is the basis of what it means to attune (at-tune) with Spirit. This is what it means to atone (be at-one) with the Divine, with (Mother-Father) God. It is the Heart or soul within Man that does the hearing of the Word, the sound, of Aum/Om (the Primordial Mother). There is no experience more exquisite for the soul than to be in complete atonement (at-one-ment) with the supreme source from which it is emerging into being. Thus to obey the Divine Mother is to resound with (re-sound, or to echo) Her primordial vibration, which is the seed of all creation, anciently recognised as the sound of Aum. It is an act of surrender, not submission. What we are ultimately surrendering is all the mis-conceptions that have maintained the illusion of separation, which is at the root of our suffering and ignorance. The fundamental work of self recovery from all spiritual afflictions and dangers, such as those I describe in my various “The dark side of….” articles, is one of coming into full conscious reunion with our beloved divine mother. 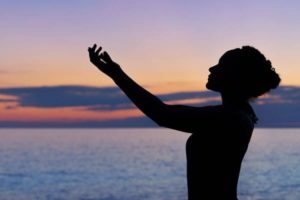 In so many subtle ways many of us have been deceived to such a degree that we ended up breaking away from our original and natural communion with the divine loving presence that creates and sustains us. Lost and confused by such separation, we are easily led into a great many troubles, spiritually, mentally, physically, and on all levels. When we wake up from the confused dream arising from the false sense of separation and independence, all that we dreamed rapidly vanishes forever. The question is always just one: Am I willing to be fully and lovingly obedient to that divine presence that creates and sustains all that I am? Or, do I place greater importance on maintaining and temporally delighting in the delusion of maintaining some kind of spiritual independence and the apparent human freedom to do whatever pleases me? The mother is so supremely merciful, and graceful, that she readily takes us back into her supreme reality, when we are ready to give up all the delusions and deceptions that we have become so entangled in an attached to. This is the powerful work that is continuously presented to all souls in the world at this time, and in all times. A friend opened her response with, “As the process deepens resonance replaces obedience. When a mother looks into a baby’s eyes she does not seek obedience, she seeks the connection that exists beyond time, within time.” It’s well worth reading her comment in full. In response to that comment, another friend wrote, “my partner also mentioned the ‘lovingly obedient’ phrase as somewhat problematic. I know that ‘in service’ sits well with me and probably means the same thing…“. These both bring up an important point related to how our collective understanding of “obedience” has, for many of us, been distorted. I fully agree with what the first friend wrote, yet only in so far as it is understood that at the so-called shallower levels of such a process, we are still deceived by false notions of what it means to be obedient. From my perspective, to obey the Divine Mother and to resonate (i.e., to resound) with the Mother are synonymous. In my experience, they only seem to not be synonymous when I still carry and unwittingly empower traces (or seeds) of rebelliousness (a subtle desire for, or deviation toward, separation from God). As for what a mother wants for her child, this brings up another important point. I am quite sure when a human mother instructs her child not to enter the swimming pool area on its own, she would dearly like her child to simply and naturally obey her request. It is here we see the manifestation of the mother as an authority, which the child will naturally obey (as a form of surrender to the mother’s will). In this scenario the mother is the authority on the matter at hand because she has a level of comprehension (about the danger of drowning) the baby or small child does not yet have. Knowing her child may not yet embody the intelligence to obey her, a mother may put safe-guards (a child-proof latch) on the pool gate. Once the child is tall enough to open the latch, it’s expected she has sufficient intelligence (a quality of the mother) to appropriately manage itself around deep water In the same way, he Divine Mother has put a great many safe-guards in place in her creation, in order to preserve the well-being of the soul. Due to ...continue. In the same way, the Divine Mother and Father (aka. “God”) is an authority on all matters pertaining to the well-being of our soul, relative to the human being (an embodied soul) who is yet to be fully infused by the consciousness of Spirit (aka. The Word). This is a soul still dreaming the deceptive dream of separation from its creator, and thus from Spirit. Such a soul (in human form) would ideally obey God’s omniscient wisdom, not as an act of giving in to repressive or reprimanding control, but as a loving and intelligent act of self-preservation and well-being. If it remains healthy (whole), and successfully preserves and brings forth (into expression) the exquisite qualities God has infused into it, the soul will eventually come to know obedience is anything but an act of being repressively controlled. It will know it is an act of being at one with the Creator and Creation, and the loving intent the Creator has for the soul to bring forth its full glorious expression into that creation. I know many people who have a hard time internalising the notion of being obedient to (our Mother-Father) God. Oftentimes, as I see it, this is because the idea of obedience triggers the subtle seeds of rebelliousness we still carry and mis-identify with. Where did those seeds come from, and why do many of us cherish them so strongly? Oftentimes this rejection of the notion of spiritual obedience is an unconscious transference of a deep-seated rejection of the ways in which religious organisations, religious and political leaders, and other types of repressive authoritarians have abused their power, in order to have control over people, even over an entire civilisation. Dynamics such as that of repressive authoritarians are one of the ways in which the original rebel (aka. Satan, literally “the adversary”) successfully planted the seeds of rebelliousness and disobedience into the human soul. In a modern human incarnation, this (re)seeding process often plays out through parents (ignorantly, and thus oftentimes unintentionally) abusing their role as an authority in their child’s life. It also commonly plays out through school teachers doing the same with their students. Rather than protecting the well-being (innate qualities of wholeness) of the child, they repress its natural expression and being. Whatever the means of infliction, the result is that many children end up harbouring deep mis-convictions about what it means to be obedient. When that child (most likely as an adult) starts awakening to spirituality, those seeds of misconception can continue to exert their influence on the soul or psyche. I see this a lot in the so-called “New Age” movement, with people exclaiming “I am a free spirit, and I am here to create and do what I like, as a co-creator,” etc. , with the connotation that they are obedient to, and answerable to, nothing beyond their own spiritual ego. They are especially not answerable to their mis-conceived concept of an authoritarian “God”. Thus, rather than spiritual obedience being an exquisite state of oneness with an infinitely loving (Mother-Father) God, it is twisted into a sense of losing control to someone or something we fundamentally reject the authority and repression of. This can perpetually ensnare Man into a state of rebelliousness, however subtle or overt such a tendency might be. Do you see how this is a tricky manipulation of the soul, implemented through giving a negative twist to the meaning (and felt-sense) of obedience? According to this deception, to obey means to be controlled and repressed by. According to the rebel, obedience means servitude and oppression. I’ve seen a great many people (myself included) get into an extraordinary array of troubles and spiritual afflictions due to the seeds of disobedience (and thus rebelliousness) holding sway over the soul/psyche. To our spirit, obedience means living in oneness with our creator and its supreme creativity. It means lovingly listening to our creator, and acting in accordance with its perfect plan. In reality, to obey the Divine is to be at one (at-one-ment, atonement) with the loving power that creates and sustains us. In such a state, The Word—the original vibration of God emerging from the potent dark void—re-sounds within the mystical chambers of our sacred Heart, thus illuminating the soul with pure and total consciousness. It’s important to constantly remind ourselves that (Mother-Father) God is pure love, and is thus exceptionally merciful. Just like “obedience,” the common notions of “punishment,” “sin,” and “atonement” have also been misconstrued in order to deceive Man into further separating herself from God, even whilst believing she is working toward overcoming such separation. That’s too big a topic to go into here, so I’ll leave it for a future article. For now, it’s enough to say that all notions of “right” and “wrong” are also deceptive. The guilt (and self-denigration), and pride (and self-importance) arising from each of these fictions is something to be watchful of. They are some of the bitter fruits born from seeds of deception about the true nature of reality. If I totally love and trust my Divine Mother and Father, nothing is more fulfilling than to align with the perfection of Divine Will. Such an alignment must, however, arise unconditionally. It must arise from a space of deep loving adoration, otherwise its power is diminished. This is the true purpose of free will. Without freewill, true and unconditional love is not possible. God is pure love, and Man embodies and emanates that absolute love when he freely chooses to love and align with his Creator. Child 2yr old climbing gate, by Wendy Atkinson. 1. ⇧ In the same way, he Divine Mother has put a great many safe-guards in place in her creation, in order to preserve the well-being of the soul. 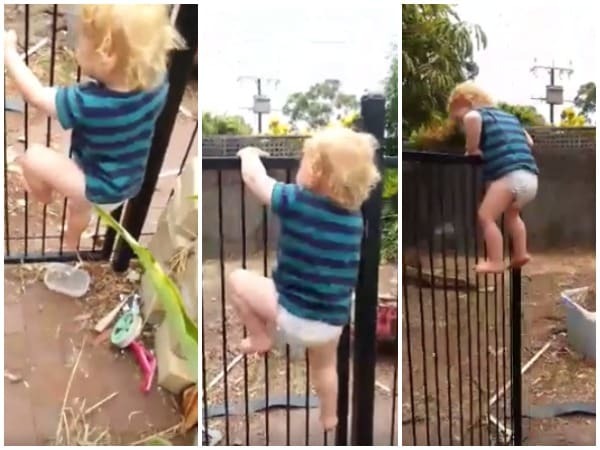 Due to rebellious tendencies (oftentimes justified as “curiosity” and “learning”) many choose to over-ride those safe-guards, like a child using a stool to reach up and open the child-proof latch on the pool gate, or simply climbing over it as seen in the above photo. This, however, is a massive topic I couldn’t possibly do justice to here. It is, however, worth feeling into. I’ve had issues reading your webpage recently. Not sure if you are aware but ppl do get a lot from your messages! Hi She-thang. Thanks for letting me know. Are you referring to your browser not being able to access site? The SSL certificate didn’t auto-renew, so it would have been giving an error for some days since it expired. Great. I am glad to hear it. Thank you for your continued visits to my articles.